Displays the path to the export / import file. Element templates are exported as a file with the extension ".ixt". Opens a dialog where the storage location for the export / import can be selected. 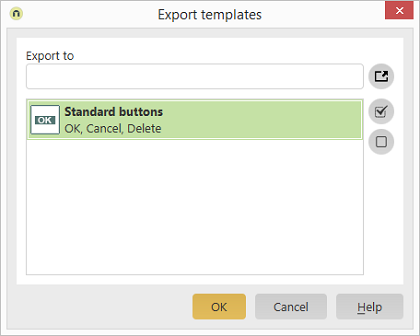 Select the template(s) you would like to export / import. Selects all of the templates in the list. Deselects all of the templates in the list.